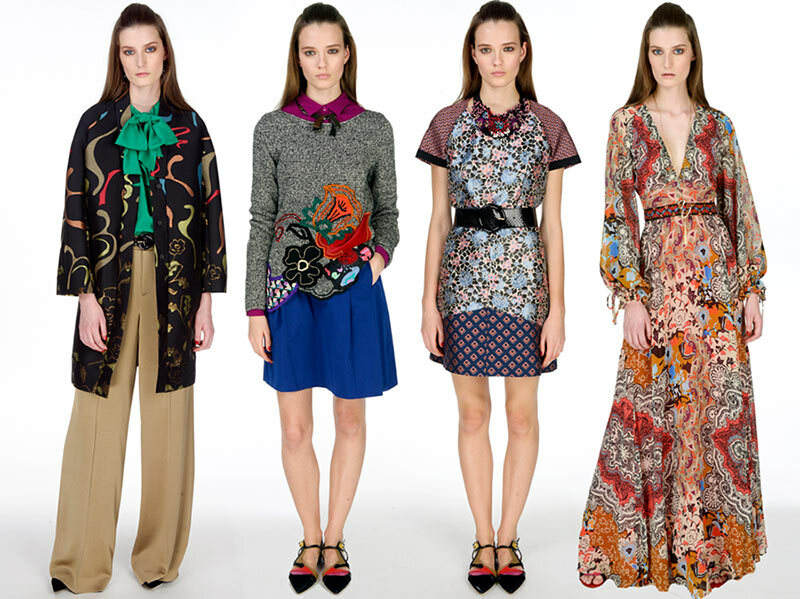 Italian family-run fashion house Etro has just unveiled its pre-fall 2016 collection, which is all about femininity, boho-chic motifs and, of course, Etro’s internationally renowned signature detail ” prints. The company is, in fact, best known for its paisley patterned designs, which Etro began producing in the early ’80s. For the Etro pre-fall 2016 collection, Veronica Etro pays homage both to the fashion house’s notorious prints and to the French artist Henri-‚Äö√†√∂‚àö¬¢mile-Beno‚Äö√†√∂‚àö√út Matisse. Known for his fauvistic style, Matisse’s paintings were characterized by bright colors and almost abstract designs, which often featured flowers and landscapes. He quickly became the leader of the group called the Fauves, and began using colors as a vehicle for describing light, space, and his emotional states. Fauvism was a deeply introspective form of art, whose modes of abstraction became a precursor to Expressionism and Cubism. Apparently, Matisse’s creative mind won’t stop working as a source of inspiration even in the 21st century. Veronica Etro took Matisse’s floral graphics and translated them into Etro’s prints, creating a soft and delicate mix-and-match feminine style and, at the same time, definitely putting a spin on the fashion house’s traditional paisley motifs. Veronica Etro, who has always been a huge modern art enthusiast, made it thus possible to combine two of her biggest passions, creating what seems to be a chaotically ethereal line-up. For these reasons, her pre-fall 2016 collection includes also creative patchwork designs, which subsequently bring the line-up close to the contemporary Seventies-inspired boho-chic look. 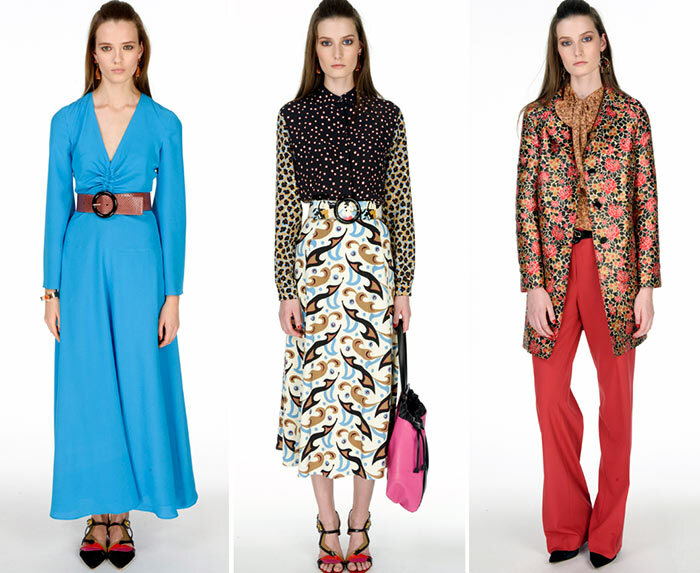 Besides abstract motifs and floral patterning, Etro’s pre-fall 2016 collection also features a great variety of bell-bottom trousers, tops with bell sleeves and maxi dresses with fluid lines and high-waisted belts that seem to be meant to celebrate a woman’s silhouette. Contrasting patterns, as well as color-block motifs, highlight Etro’s traditional looks, while bows, ruches, circular-cut ruffles and a floral necklace still remind us of its dynamic fauvistic turn. The collection is soon interrupted with an interesting bright light blue maxi dress, the color-solid fabric and clear cuts of which prove us there’s always much more than paisley prints behind Etro’s creative director’s mind. There’s also a shorter variant of this dress available, namely a mini dress with patchwork motifs and a black high-waist belt, the set-in short sleeves and bright floral designs of which look like what a modern-day Matisse model would have worn while posing for one of the painter’s masterpieces. 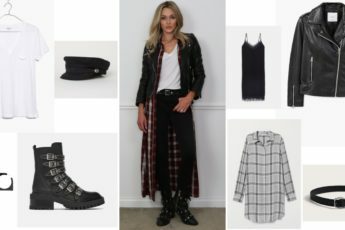 Pointy-toe shoes and plunging necklines reveal some of next season’s main trends, which won’t differ that much from the latest fall/ winter 2015-2016 fashions. Cotton sweaters and A-line skirts also make a new contribution to the preppy style, giving a more cheerful and cosmopolitan vibe to the collection, while intricate floral embroideries make everything look even more delicate and feminine. It is indeed an interesting collection that gives us a glimpse of what Etro’s new style is going to be next year, and we are really thrilled to see what Veronica has in store for us!